District 21 – June 2010 – Lincoln Nebraska A.A. Spiritual Actions (Emily S.): Quarterly business meeting July 1st with quarterly speaker Renee S.
Practical Applications (Brian D.): Moved to Grace Chapel at 40th and Sheridan, but will remain in district 21. Brown Baggers (Alley W.): Have had a treasurer and donate to Central Office. Working to get them to donate to all the places. Alley is not GSR but trying to facilitate relationship between district 21 and brown baggers. Amy help plan and also attended a meeting (the first for this rotation) with all Lincoln DCMs (Chad O.-District 22; Bernice S.—District 3, and Luke F.—District 29). We discussed the “defining the district boundary’s” task (see new business). We also discussed the possibility of arranging a time/place for the Delegate to give his General Service Conference (GSC) report in Lincoln, in upcoming months (see new business). There is a concern that District 21 needs to be more accountable to groups concerning the treasury. 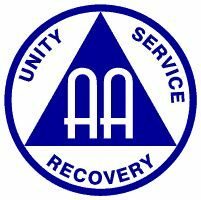 District 21 Workshop planning-Workshop will be held October 9th at 1pm, with a general topic of “progression in AA”. Still need to find a place to have it. 13th and F is a minimum $100 and it will have to go through approval with church council. At Christian outreach, they are happy to have it and it will cost $50.00. Location is also available. We will have it at Christian outreach. Delegates Report: When should we have the Delegate give his report here in Lincoln? Update: Leon is coming on August 14th. More details later. Voting items for upcoming Sept. 11-12th Area Assembly. We discussed these. Will vote on these at the August 15th district meeting. AGENDA ITEM #005, 2010-1-16, Report &Charter, VOTE. Area 41 purchase one low-wattage FM transmitter kit at a cost of approximately $200 to be assembled by past delegate John S. for the purpose of facilitating simultaneous translation of the Area meetings/workshops, purchase a suitable microphone for use with the transmitter, and provide funding in the Chairperson’s budget for purchase and maintenance of equipment and for reimbursement of normal mileage and hotel room expense for a translator. Recommend that the Area consider funding and participation at the Additional West Central Regional Forum to be held in Rapid City, SD on Nov. 12-14, 2010. To fund only 2 Area 41 Officers and one has to be the Delegate orthe Alternate Delegate.